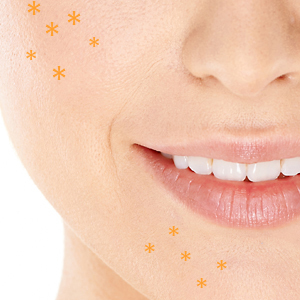 For many of us, acneic skin is a fact of life that can persist well into our 30’s, 40’s, and 50’s. Issues with acneic skin affect more than just our skin, it impacts all aspects of our lives, our self-esteem, and our self-confidence. Pustules, blackheads, whiteheads, and red bumps don’t just affect our face, it can cause havoc elsewhere on the body, like the chest and back. DermaSweep to the rescue. Quickly calm acneic flare ups and restore skin’s healthy appearance with a targeted combination of DermaSweep’s 3-in-1 gentle bristle tip exfoliation, increased circulation, and specific SkinFusion, leaving our skin smoother, clearer, and calmer. A must-have treatment to help clear congestion and blemishes for a more vibrant complexion. The end result is a calm, clear, more beautiful you! Calm, clarify, and correct blemished skin. The exclusive blend of protective antioxidants, skin clarifying alpha-hydroxy acids and beta-hydroxy acids not only help regulate oil production and aid in killing p-acne bacteria, as well as calm and soothe inflammation. The result is clearer, calmer skin with a more even tone and texture. Refine and improve dull, uneven skin using clarifying alpha-hydroxy acids and beta-hydroxy acids, which balance out oil production and increase cellular turnover.